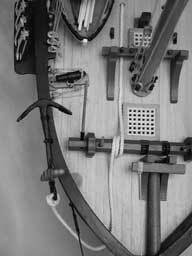 JoTiKa Ltd. ~ HM Schooner Pickle Construction Page 11. 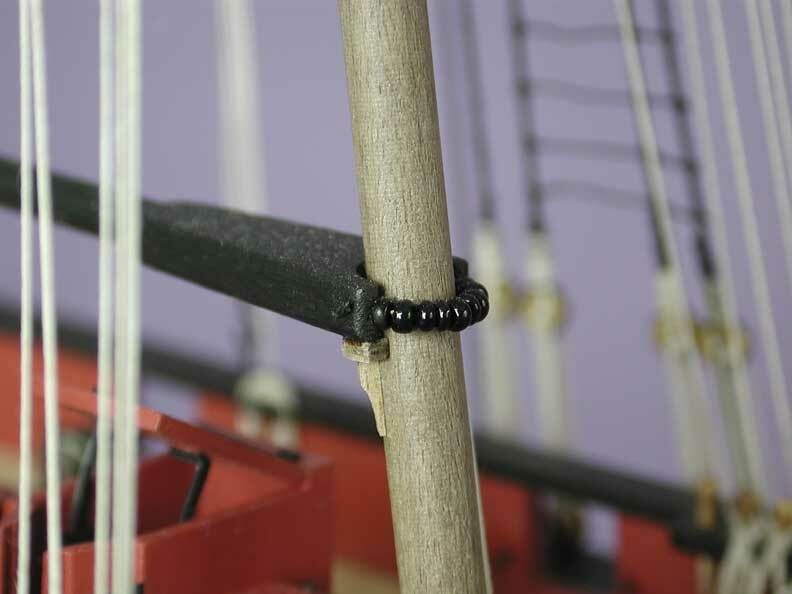 As with varies rigging components, the standing end of the bowsprit shrouds are secured with a rigging hook and eyelet. 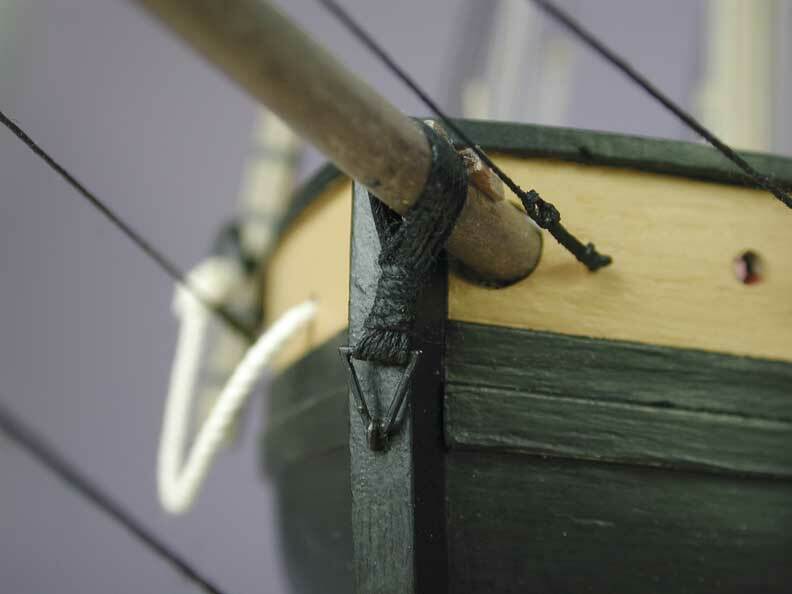 The bowsprit gammoning authentically replicated making use of the gammoning ring on the forward face of the stem. 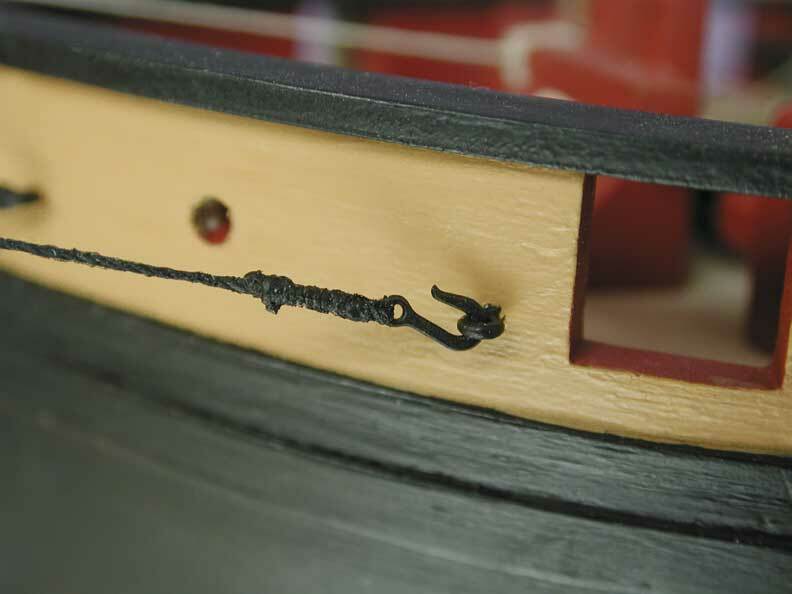 A birds eye view showing the run of the anchor cable, from the anchor ring in through the hawse hole, twice around the windlass then aft and down through the deck to the storage locker. 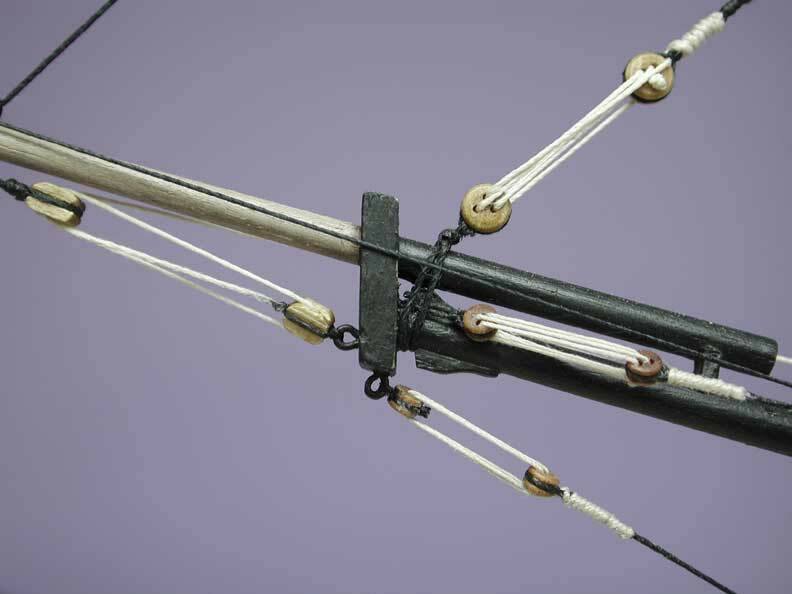 The driver boom jaws seated down onto the driver boom saddle and secured by parrel beads. 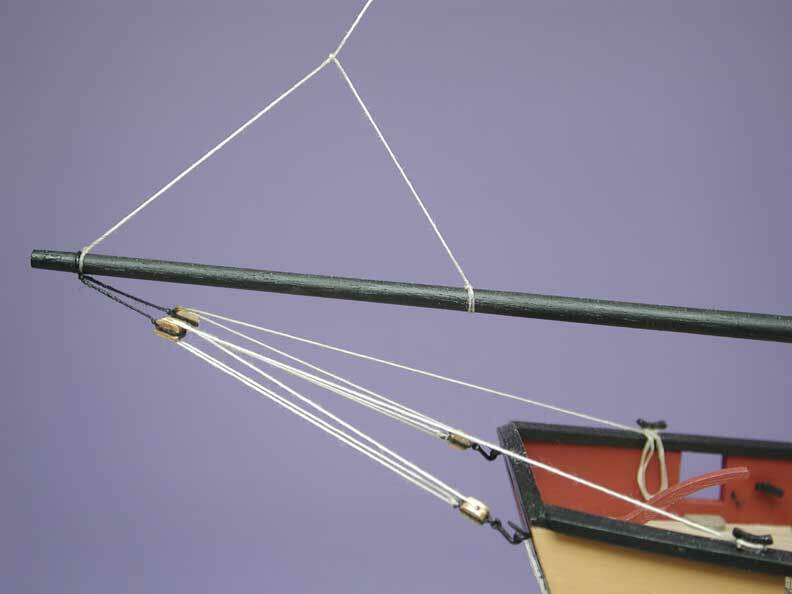 The outboard end of the driver boom showing the topping lift, complete with the precautionary span, and the the pair of guys. 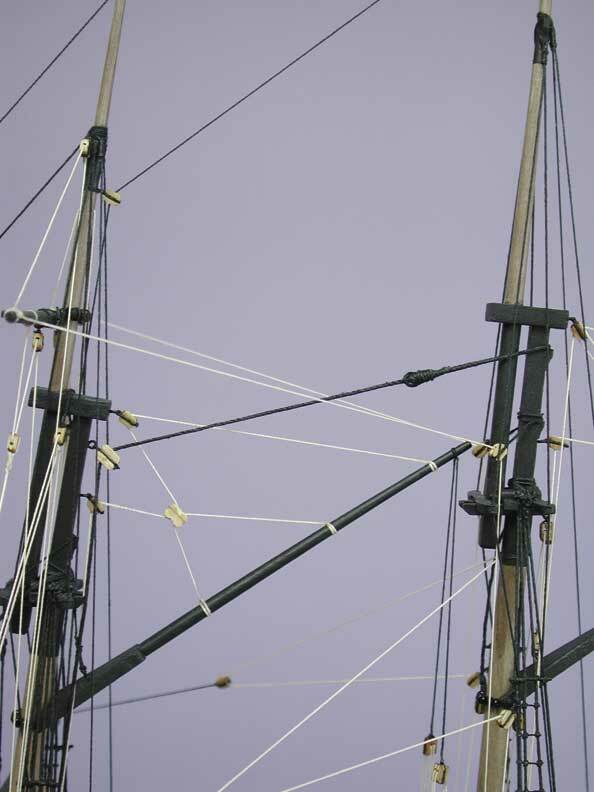 The driver gaff and associated rigging. 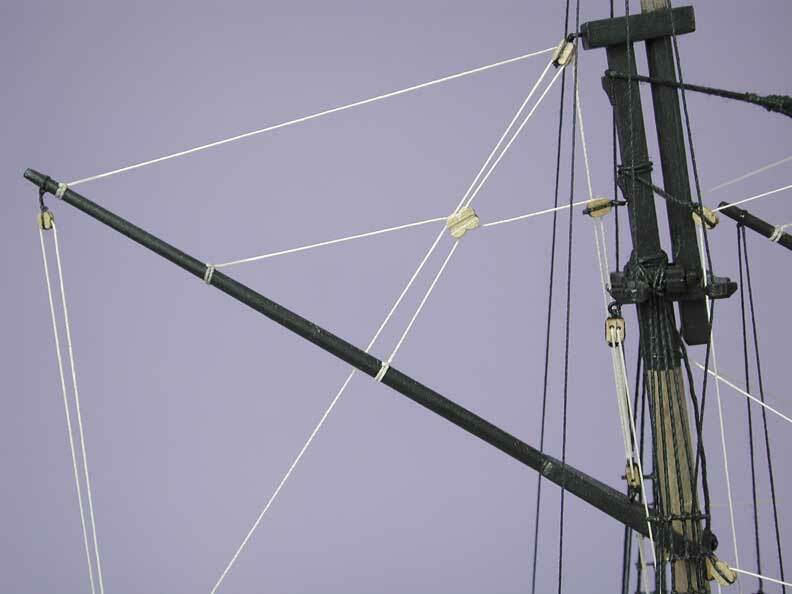 The rigging around the bowsprit cap, including the bowsprit shrouds and bobstay, the schooner mast (fore mast) preventer stay and the tackle of the topgallant stay. 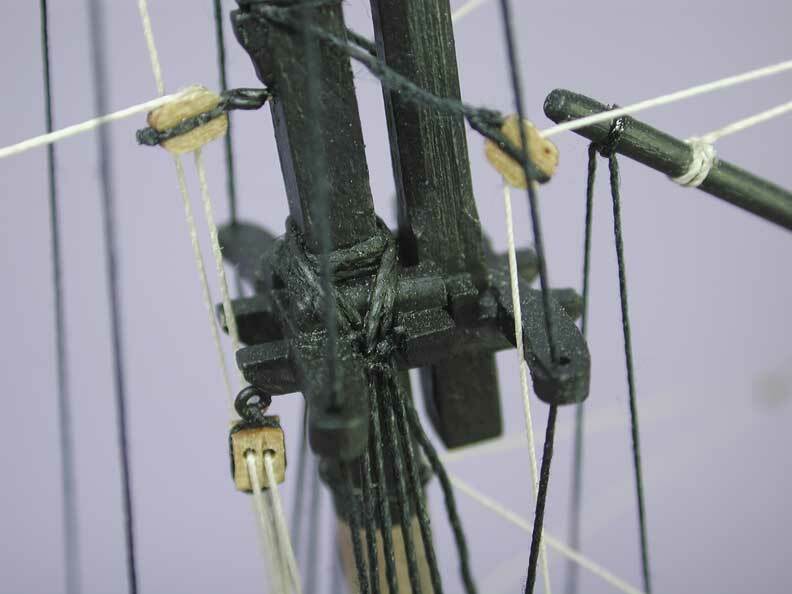 The main yard sheet and lift blocks, stropped to the yard arm just outboard of the stop cleats. Note the main yard on Pickle is rigged as a crossjack. 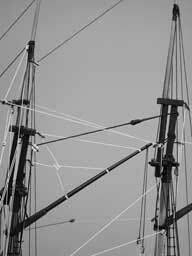 View of the rigging between the main mast and the schooner mast (fore mast). 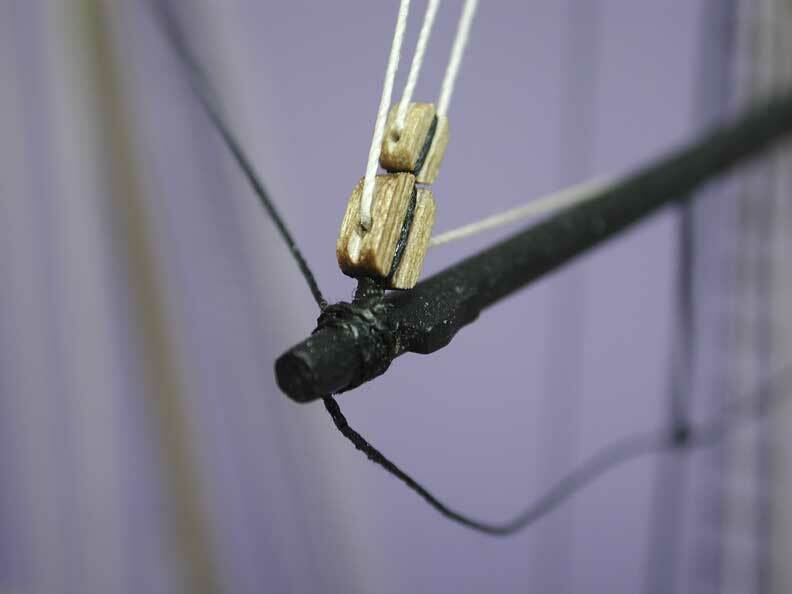 One of several peculiarities of the schooner rig shows the main stay held above a stop cleat high on the main mast, it then passes forward and through a block in the back of the schooner mast where it passes down to deck to be secured by a block and tackle. View of the main tops.